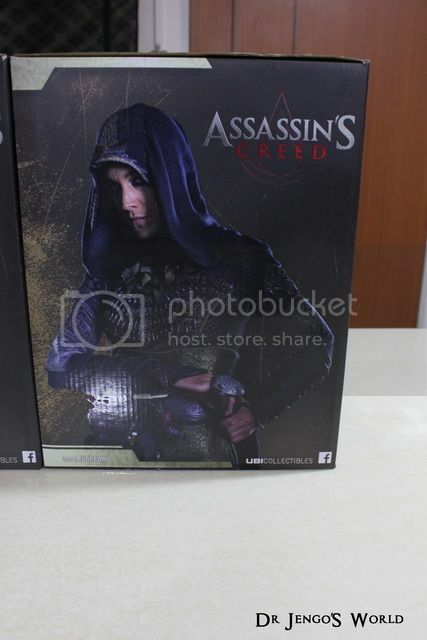 Got lucky with yet another contest! 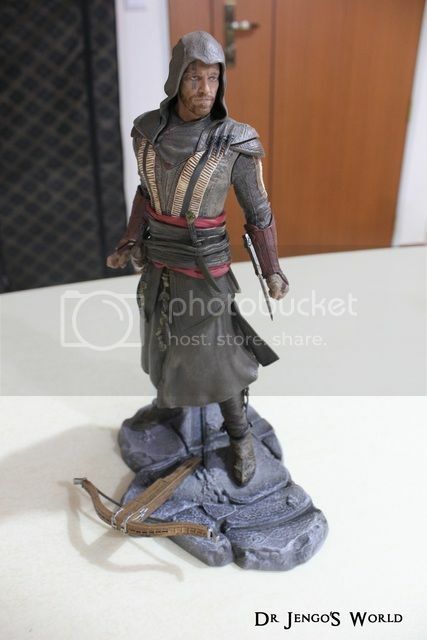 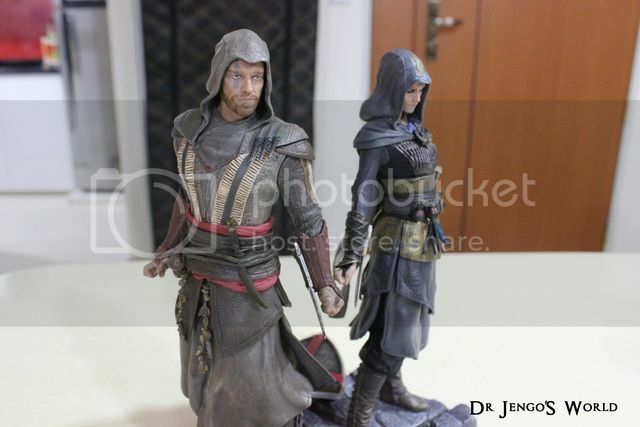 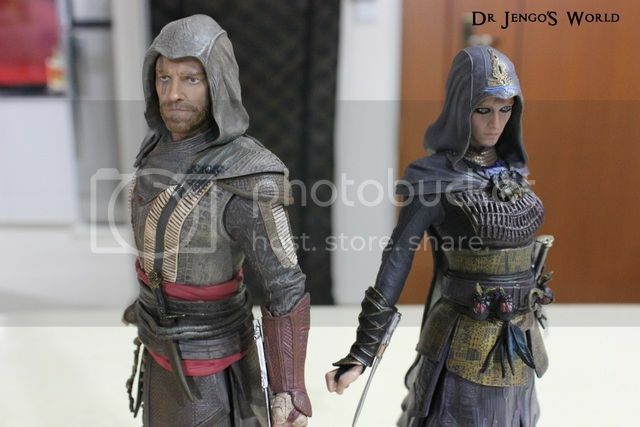 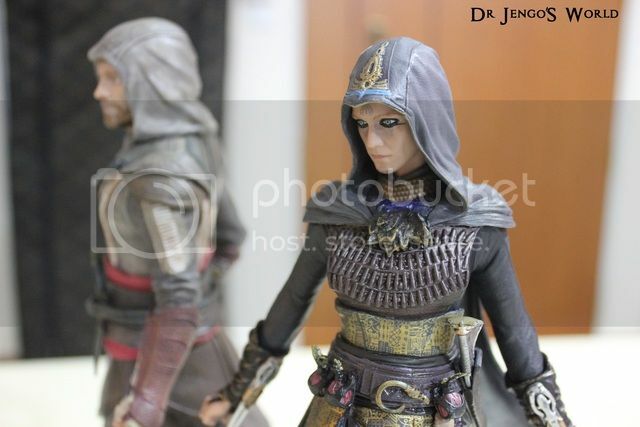 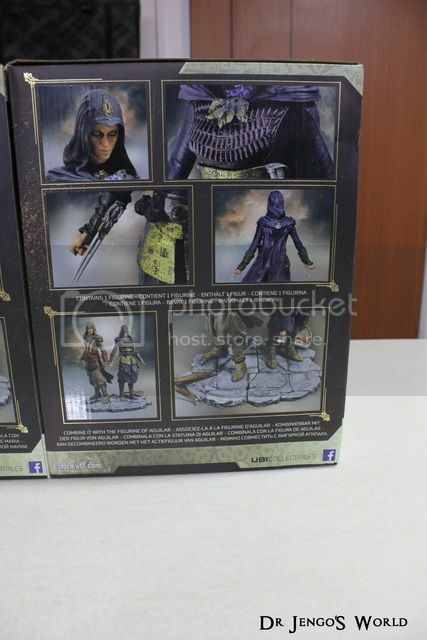 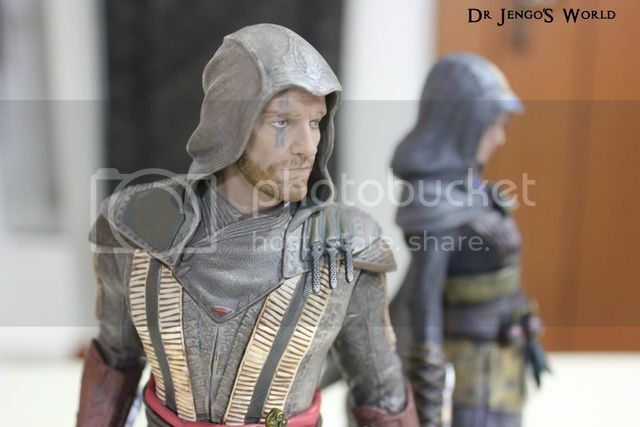 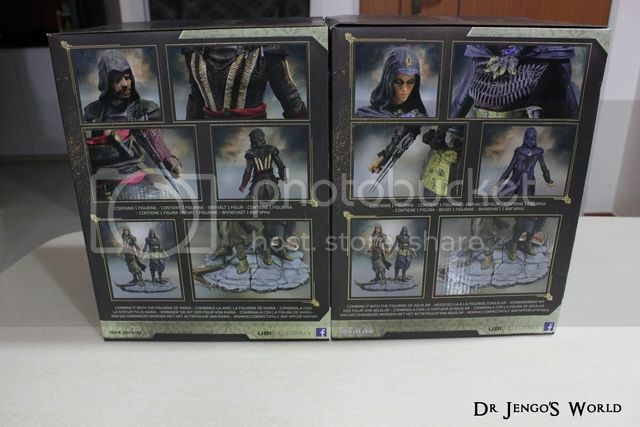 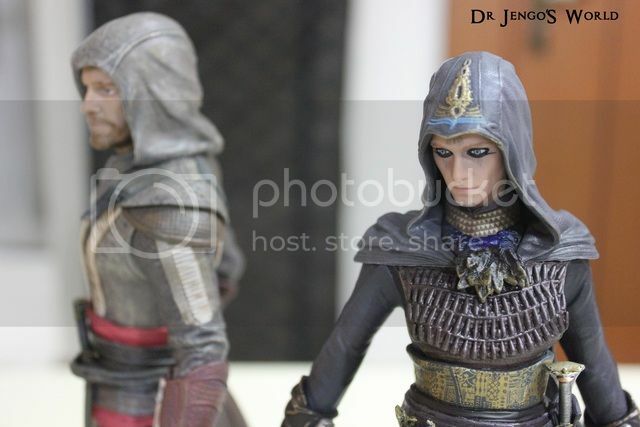 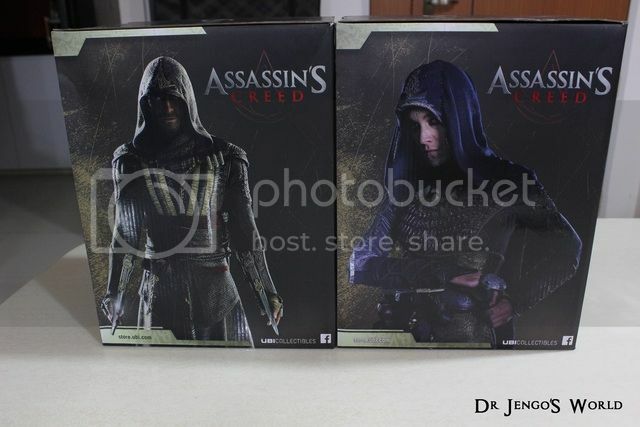 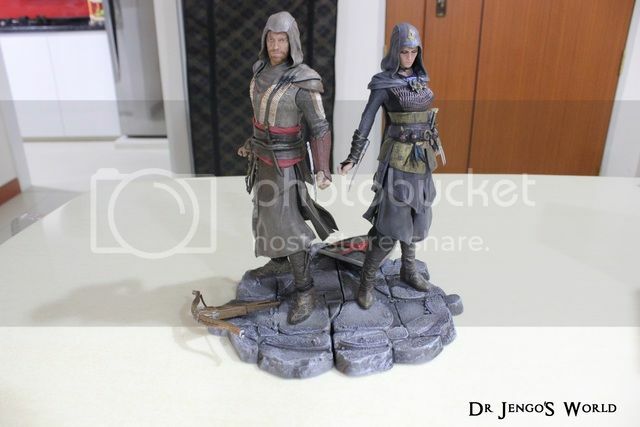 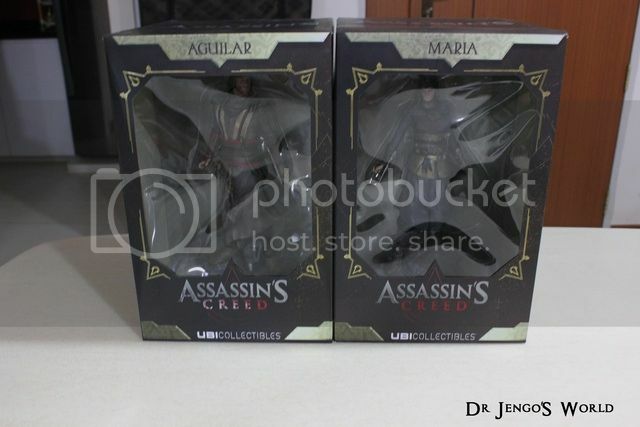 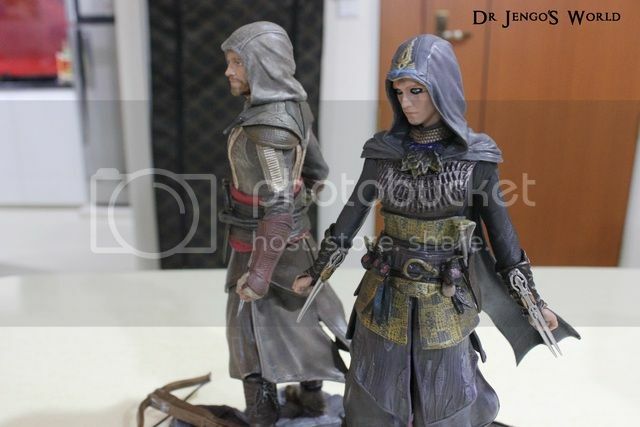 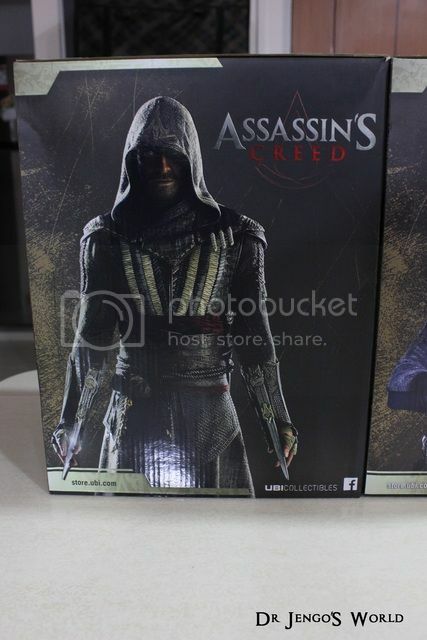 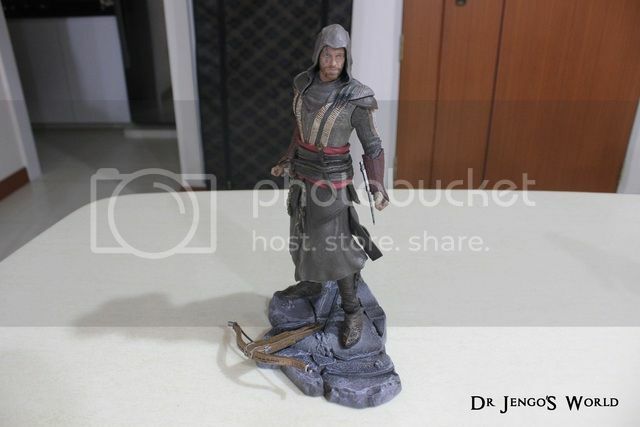 This time I got the UbiCollectibles' Figure Diorama of Aguilar & Maria from the Assassin's Creed Movie! 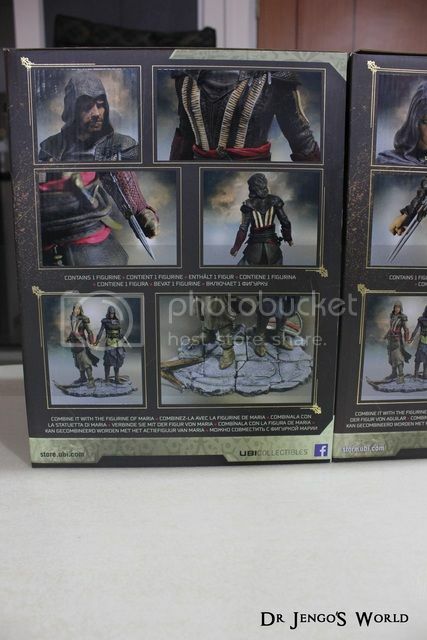 Nice packaging with artwork and a short character bio of the characters from the film.. 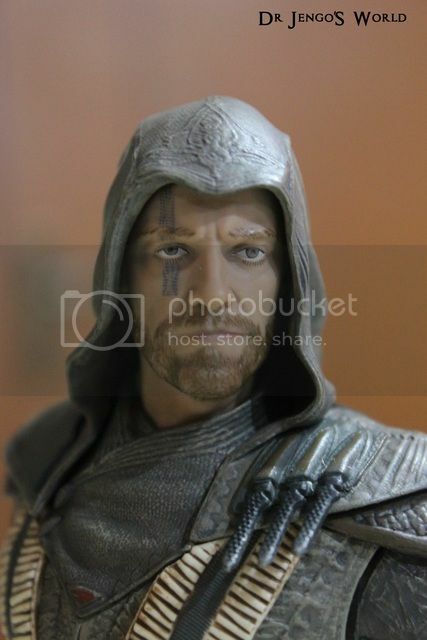 Probably a tad too many pics.. but the face sculpt is really good.. 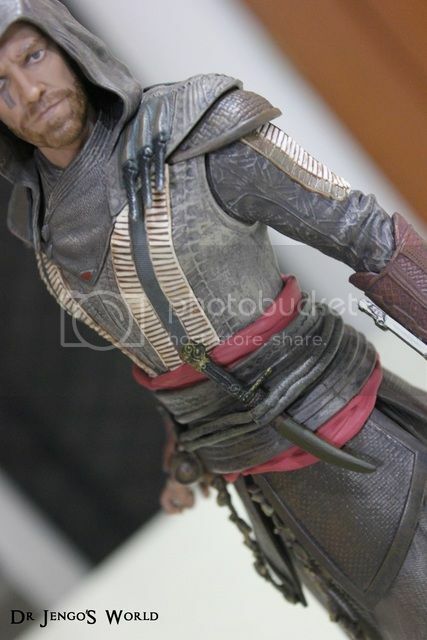 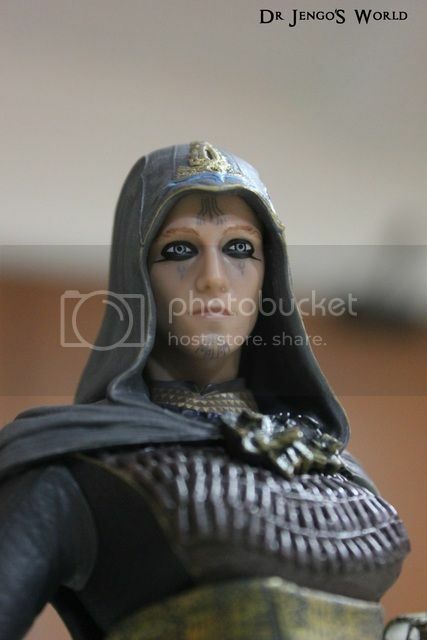 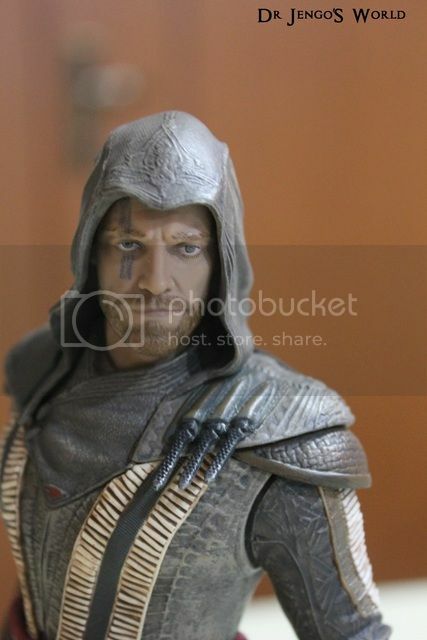 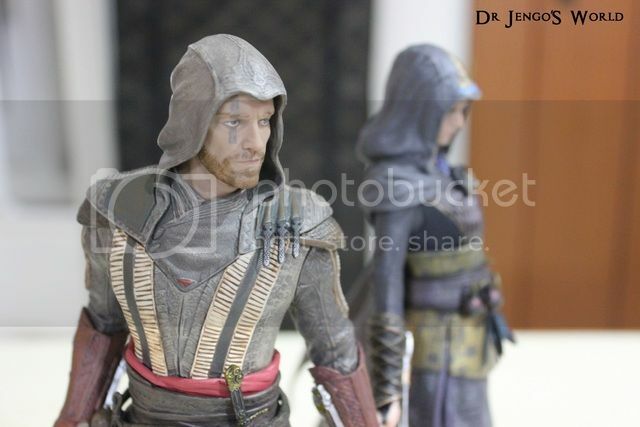 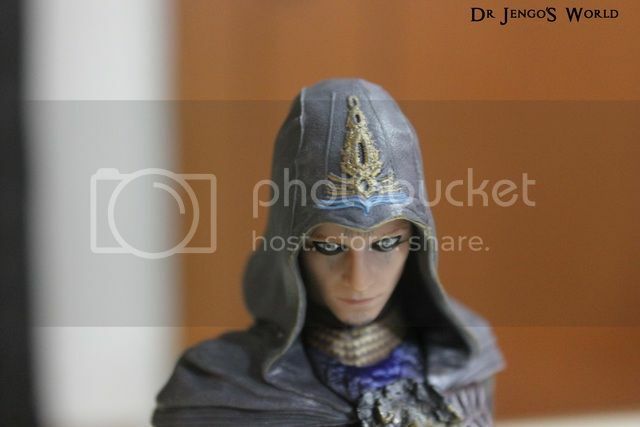 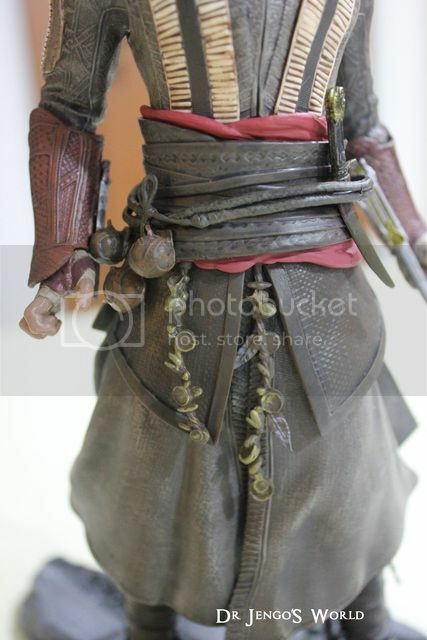 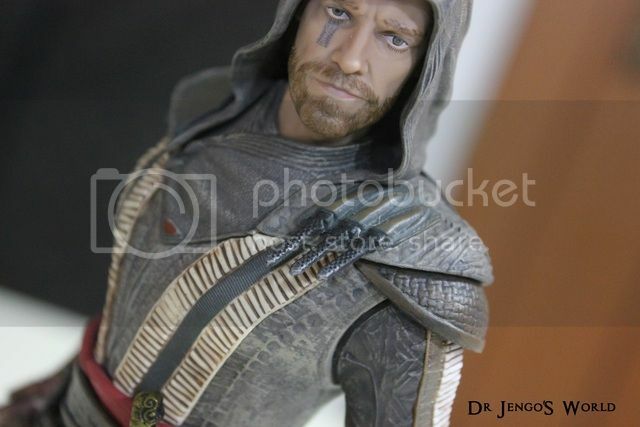 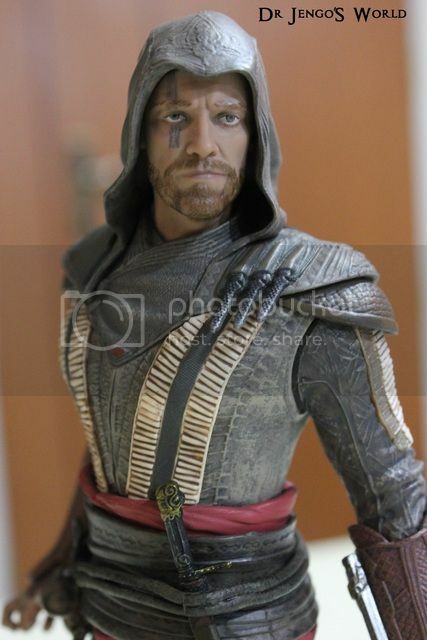 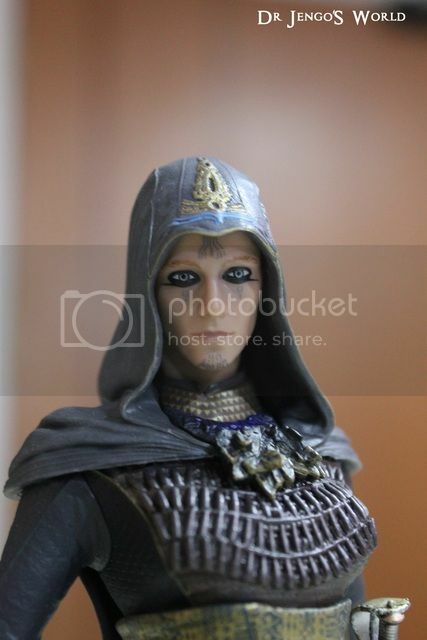 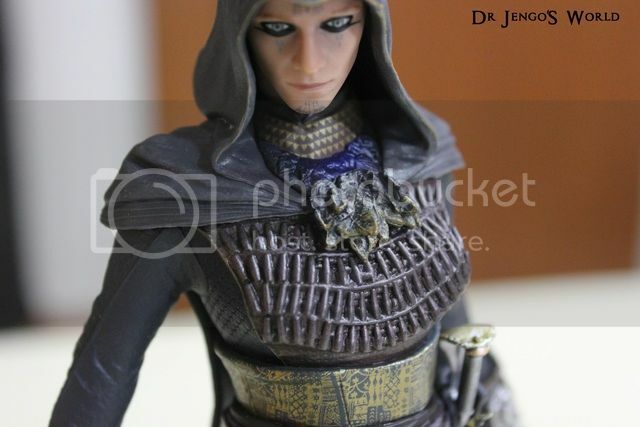 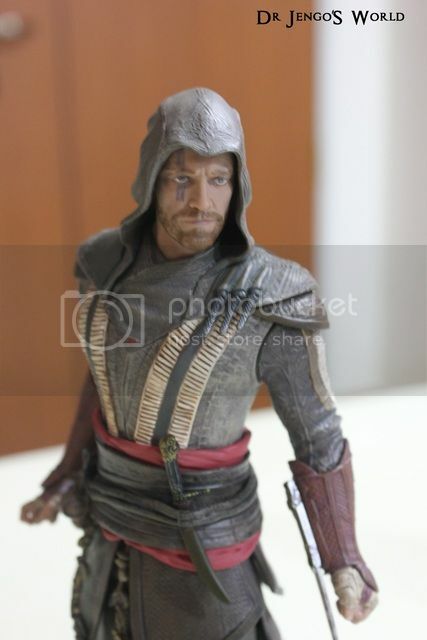 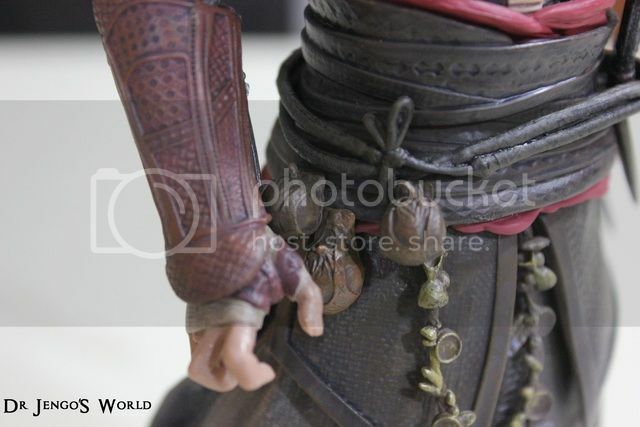 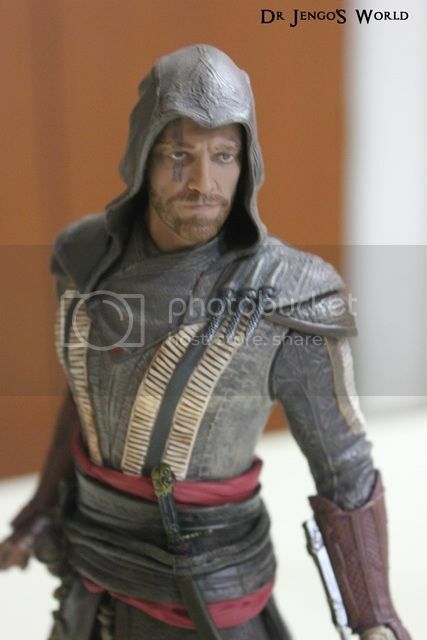 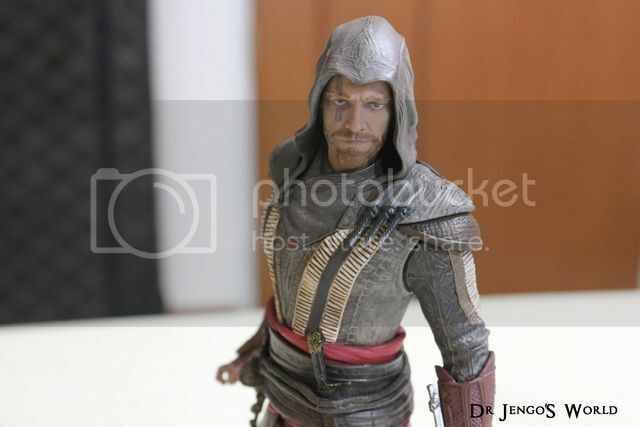 Yes it isn't the type of quality the Hot Toys' figures are capable of, but this looks like Aguilar, or rather has a very good resemblance to the actor, Michael Fassbender. 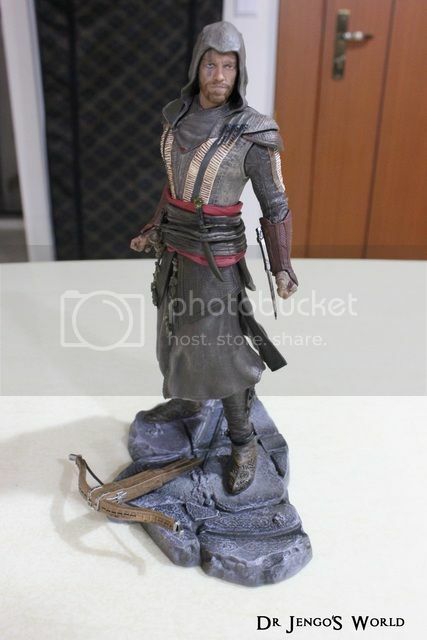 As far as I know, this is the first UbiCollectibles' figure that is based on a real person so I wasn't expecting much in terms of the likeness but I'm pleasantly surprised. 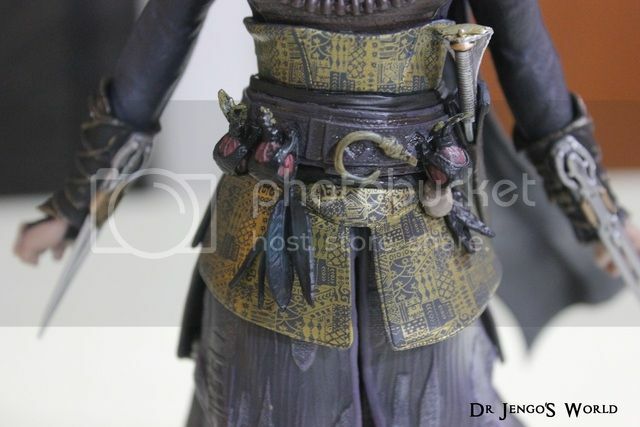 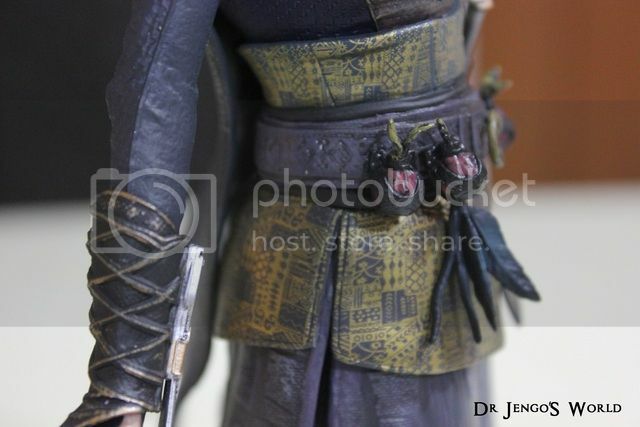 Nice details all around.. the statue is adorned with all of his different weapons & accessories. 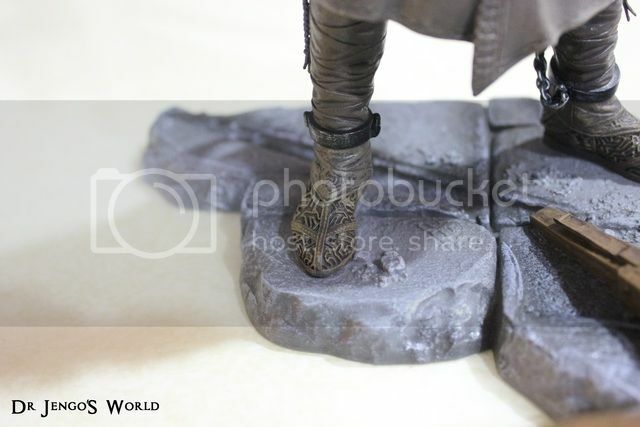 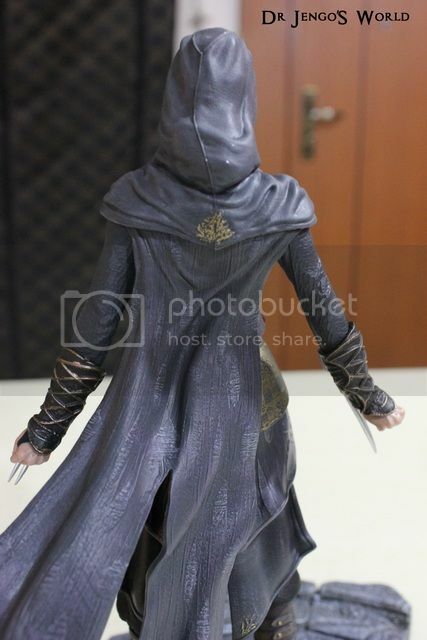 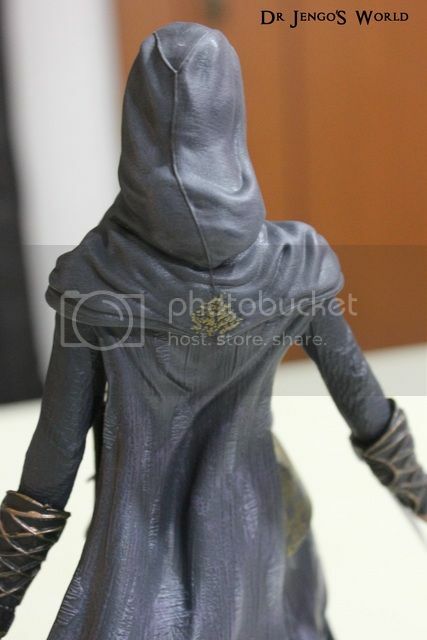 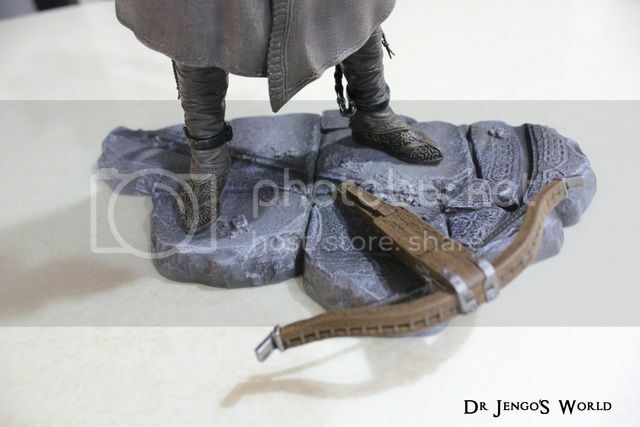 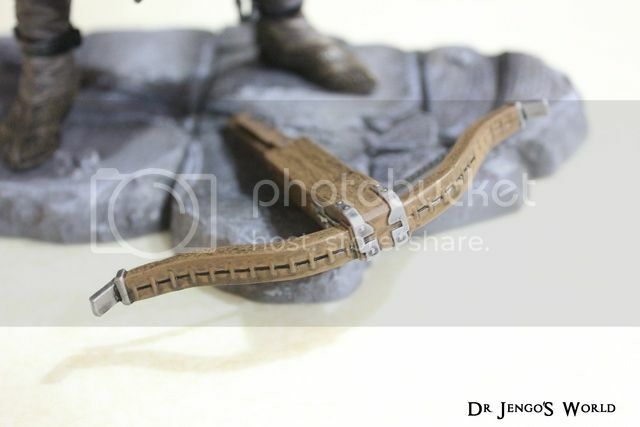 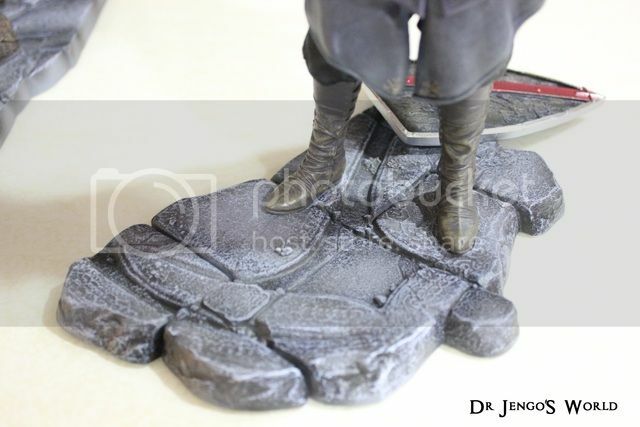 Also a fallen crossbow on the base of this figure.. just teasing me on missing out on the Crossbow Replica.. 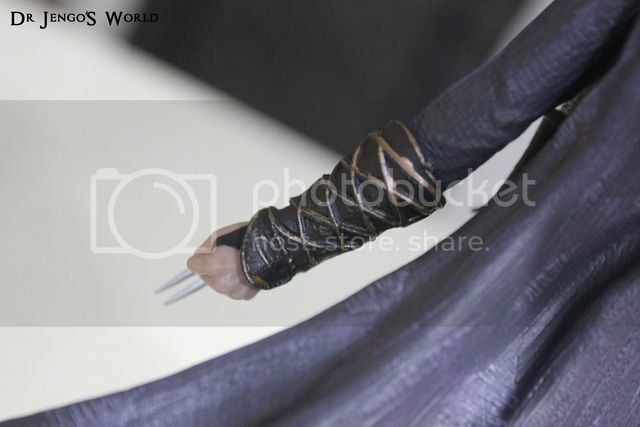 However I do feel the robes are a few shades too light, it looked darker in the movie. 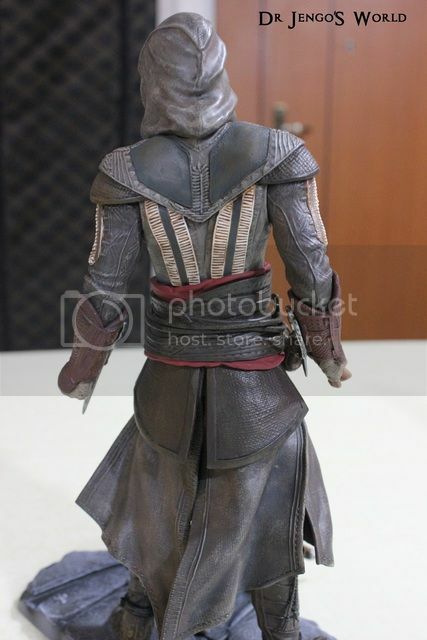 Apart from that, this is no doubt an excellent figure. 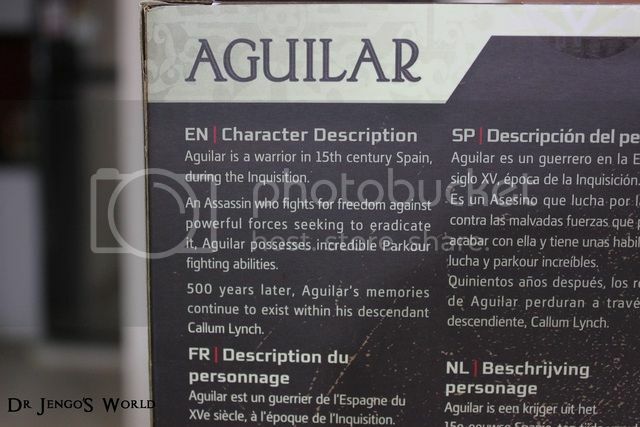 Love it, Aguilar didn't get a lot of screen time in the movie but he will go down in Assassin's Creed history. 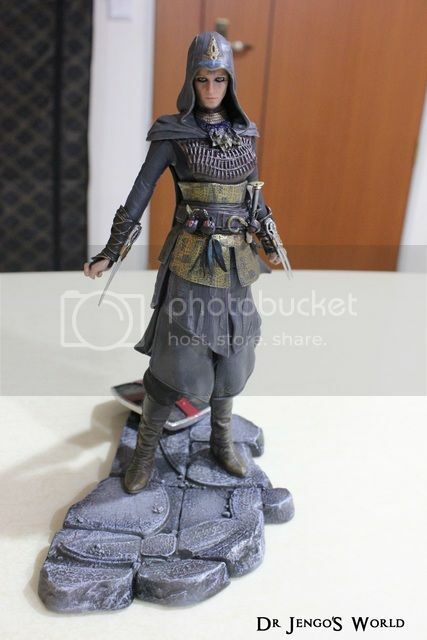 Along with Aguilar, will be Maria..
Not too bad, I wasn't too familiar with this actress before the movie so I can't rate the sculpt but I think they did a decent job. 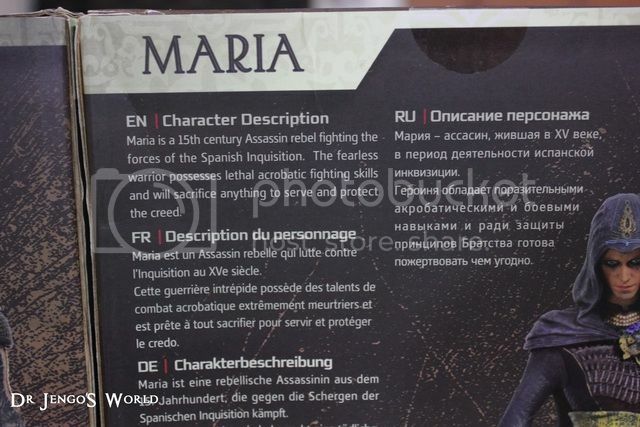 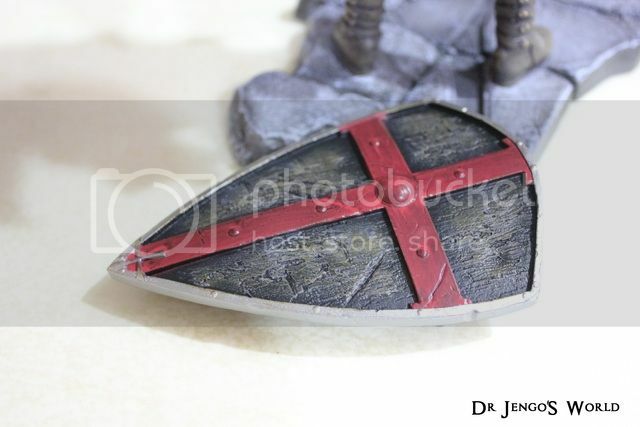 Again, very nice details.. nice touch with the Templar shield on the base..
Oh and I'm pretty sure I'm not the only one.. but I honestly didn't realise that Maria's Hidden Blade had dual blades on each arm. 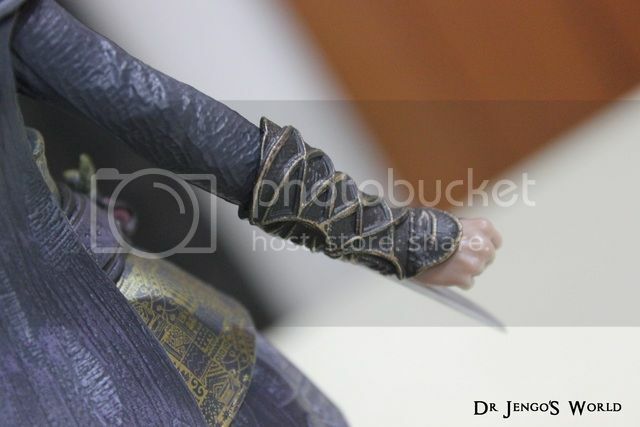 I watched the movie twice and I'm quite certain that her Hidden Blade wasn't explicitly shown in the movie. 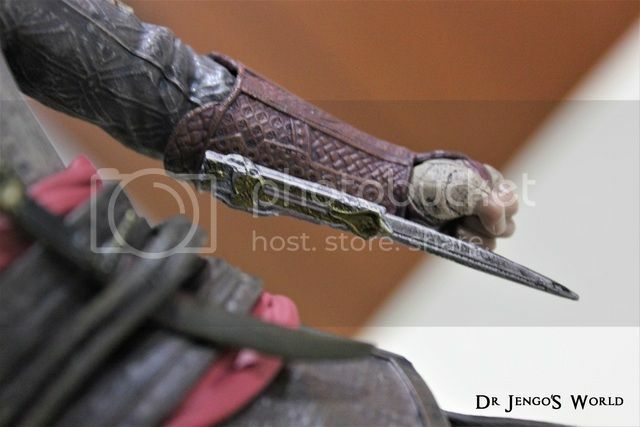 So.. yea.. learnt something new here.. Kinda wish one of the companies produced her Hidden Blade Replica instead of the multiple versions of Aguilar's we have now.. 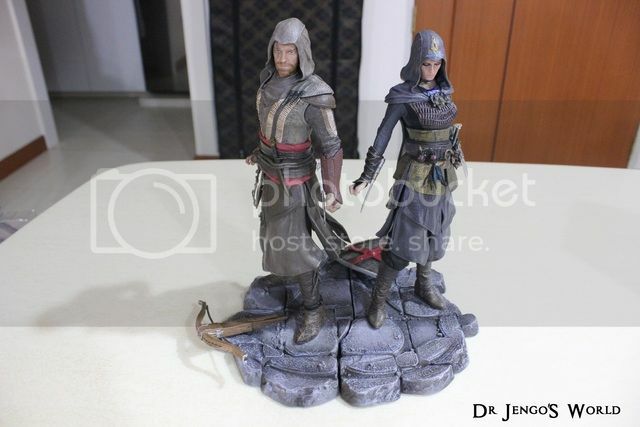 Anyway.. the 2 statues can be placed together to form a diorama..
Really cool stuff! 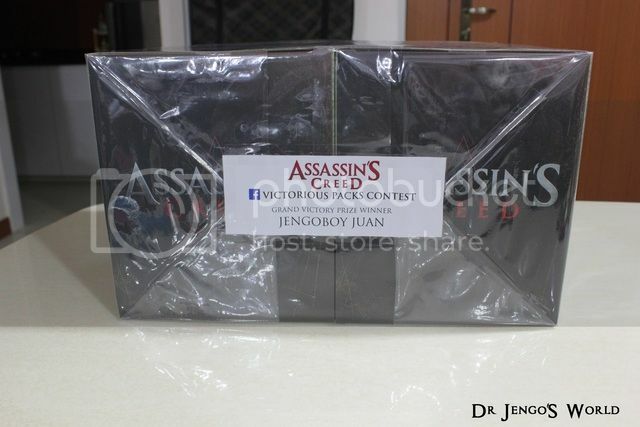 Thanks again 20th Century Fox Singapore for the prizes!